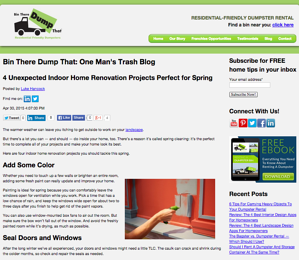 Subscribe to Bin There Dump That’s Blog! Whether you’re a homeowner or local contractor, two things are undeniably true: trash piles up way too fast, and there is never enough space for all your stuff. Ready to subscribe? Just give us your email address, and we'll send a new article straight to your inbox every week.